Applications are now available for the CHCA 2017 Educational Scholarship! All graduating high school seniors who will be pursuing any educational program after high school are eligible (e.g. college, vocational, technical, business institutes, etc). Applications are available here (MS Word) and here (PDF), or using the links on the right-hand side of the colonialhills.us page. Due date is April 28 (postmarked Apr 21 if mailed); see application for additional details. In addition to information about academic and extracurricular activities, it is necessary for an applicant to attend at least one CHCA monthly meeting and have neighborhood service hours. See calendar at right for more details on upcoming CHCA meetings and events. HIGH SCHOOL SENIORS: this is a great opportunity to earn / win some money to help pay for the next steps in your education! There is still time to get neighborhood service hours by attending meetings, helping with planning for upcoming events, and distributing Couriers for those districts with no current Trustee. Juniors & Sophomores, take a look at the application and start working on the requirements now for when it’s your turn! Congratulations to everyone who participated in the CHCA 2016 Run Through the Hills 5k! With over 200 runners this year, we had a great event. Special congratulations to our overall winners: Jonathan Allen (16:32.9) and Claire Steigerwald (19:41.3); well done! Complete results are posted here. Pictures from the race and rest of the Independence Day celebration coming soon! NOTE: results updated (7/7/2016) to reflect changes to the 60-99 Men’s and Women’s places due to a bib mixup that was self-reported by the participants and corrected. Anita Snively is our new women’s 60-99 champion! Results for all other age groups were unaffected. Summer is here – time to start getting ready for our annual 4th of July Celebration and “Run Through the Hills” 5k run! 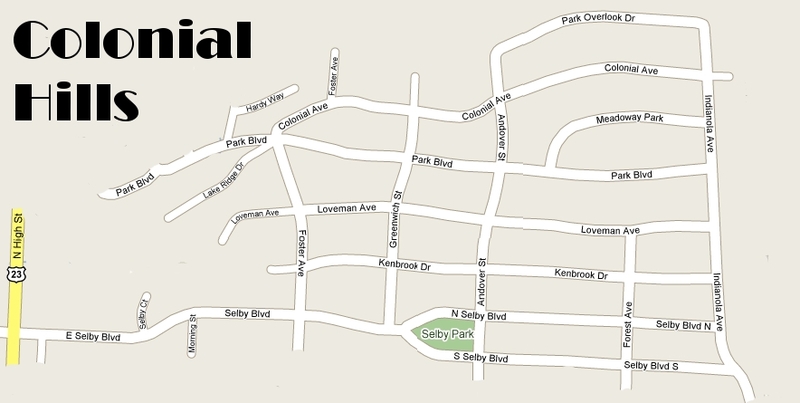 All events take place at Selby Park on July 4, 2016. 5k check-in starts at 7:30am, race starts promptly at 8:30am. Independence Day Extravaganza with bounce-houses, midway games, music, and food occurs 10am-1pm. 5k race registration is OPEN! Cost is $15 for pre-registrations completed / received before July 1, 2016; $20 registration day of the race. 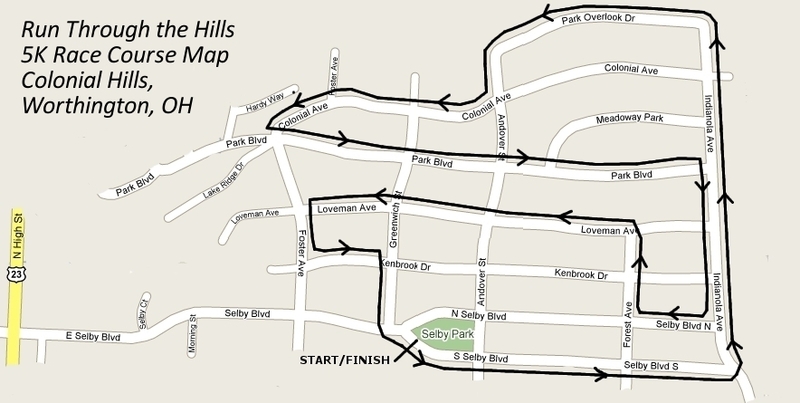 Registration includes a T-shirt (for 1st 150 registrants), awards, refreshments, and a great time running through the hilly tree-lined streets of Colonial Hills neighborhood (race map). Click here to register online. Mail-in registration is also available, click here to download the form to print, complete, and mail-in with your check. NOTE: if you are registering multiple people, please register and pay for each person separately so that we can capture details for each runner (name, age, gender). As for the Independence Day Extravaganza, we are upgrading this year: new chairperson (Jenny Kendall), new games, CH-resident-owned Kenny’s Meat Wagon food truck, Kona Shaved Ice food truck (shaved ice treats paid for by CHCA), and round tables under the big tent to better enjoy the day. More info to come – looking forward to a great event this year! Applications are now available for the CHCA 2016 Educational Scholarship! All graduating high school seniors who will be pursuing any educational program after high school are eligible (e.g. college, vocational, technical, business institutes, etc). Applications are available here (MS Word) and here (PDF), and are due April 12; see application for additional details. In addition to the usual sort of information & requirements, it is necessary for an applicant to attend at least one CHCA monthly meeting (Tuesday, March 8 is the next one) and have neighborhood service hours (Easter egg hunt still needs volunteers March 12 & 19!). See calendar at right for more details on upcoming CHCA events. We hope to have a number of applicants this year– get on it Seniors! And Juniors & Sophomores, we offer this scholarship opportunity every year, download the application so you can start working on the requirements now. Thanks everyone for your participation and hard work to get your homes looking good. And thanks to Kelly Jaeger for recruiting judges and coordinating the awards. Signs are being posted on a rolling basis and pictures will be posted here soon. Turnout was outstanding for our Luminary Kit Assembly and Holiday Party this past weekend– thanks to everyone who helped! Participation for the luminary kit assembly was particularly noteworthy- what took 3 people over 8 hours to do in 2014 was accomplished by 20+ people in under an hour this year. Many hands make light work! Plus it’s a great experience for us to work together with our neighbors to make Colonial Hills truly “The Friendly Community” in action as well as in spirit. Special thanks to Will Pearce for coordinating luminary assembly year after year and making it a success. If you haven’t already received your luminary kit, it should be arriving on your porch soon via your trustee. This upcoming Sunday evening, December 13 at 7pm, will be our Luminary Night as well as judging for the Holiday Home Decorating Contest. Be sure to set up & light your luminaries at 7pm, turn on all your outside decorations, turn off your porchlights and other non-holiday lights, and then wander the neighborhood and enjoy the festive spirit! If possible, please do not leave any vehicles parked in the streets between 7-9pm so that people can fully enjoy the sights. There will also be hot cocoa at the Selby Shelterhouse starting at 7pm for a casual holiday gathering. Read the entire article here: http://www.realtor.com/news/trends/top-10-hottest-zip-codes-in-america/. Congratulations runners on a great Colonial Hills 36th Annual Run Through the Hills 5k this past Saturday! Results are now available for Juniors (19 & under) and Adults (20 & over) (note that posted ages are rounded down to be the lowest for the age group– you’re welcome!). Overall results for all runners is here. Thanks to our presenting sponsors for helping make the race a great success: Columbus State Community College Center for Workforce Development, Worthington Community Center, Road ID, and The CyMack Group! And as always in recent years, thanks to Jeff Spain, Courtney Jolley, and the rest of their volunteers for putting together a great event. Hope to see you again for next year’s race! 10:00am: Spirit Parade – children ride their decorated bikes, trikes, strollers, etc around the park; awards for best decorations!